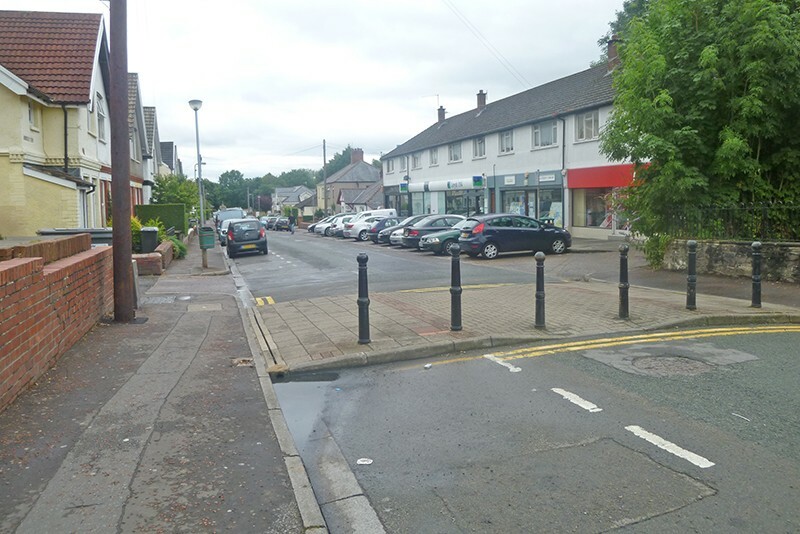 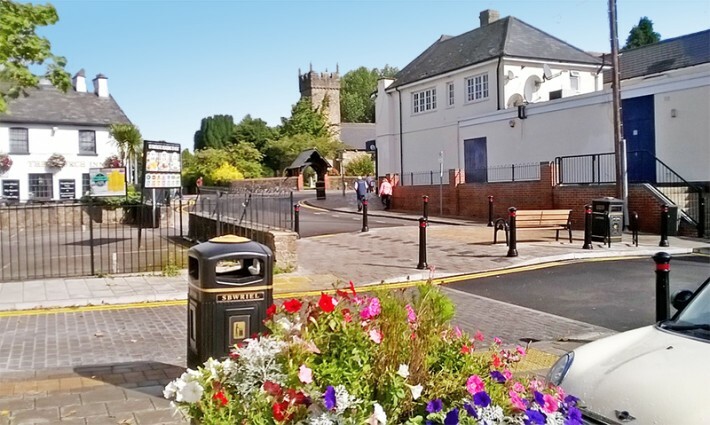 The improvement works on Kimberley Terrace in Llanishen are now complete. 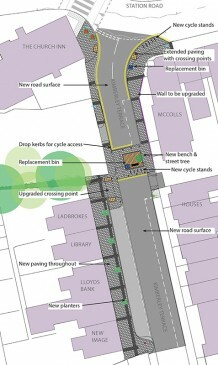 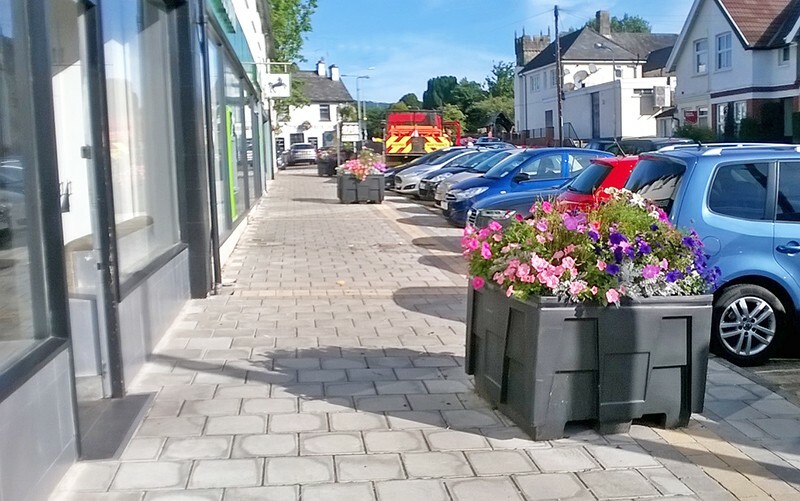 Improvements include new paving & road surface, a new pedestrian space, flower planters, a bench, cycle stands, a cycle lane, and new railings and wall. 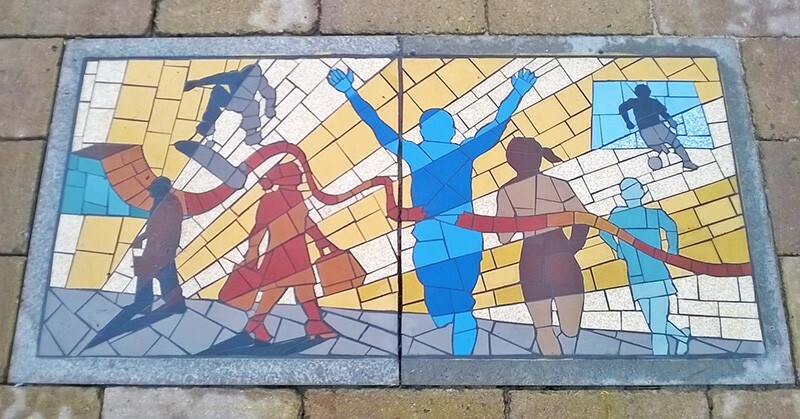 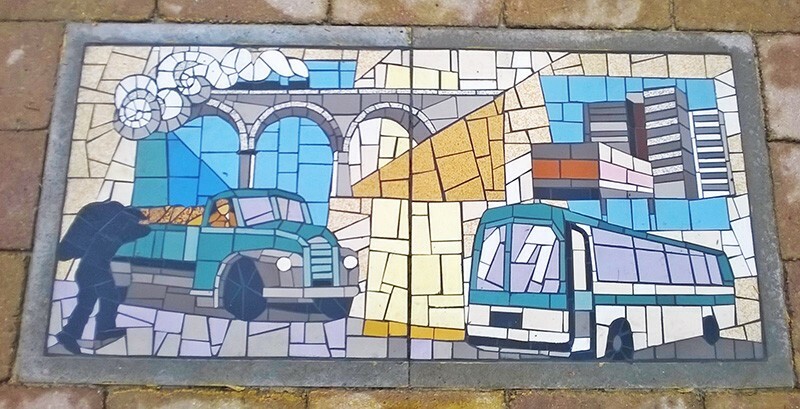 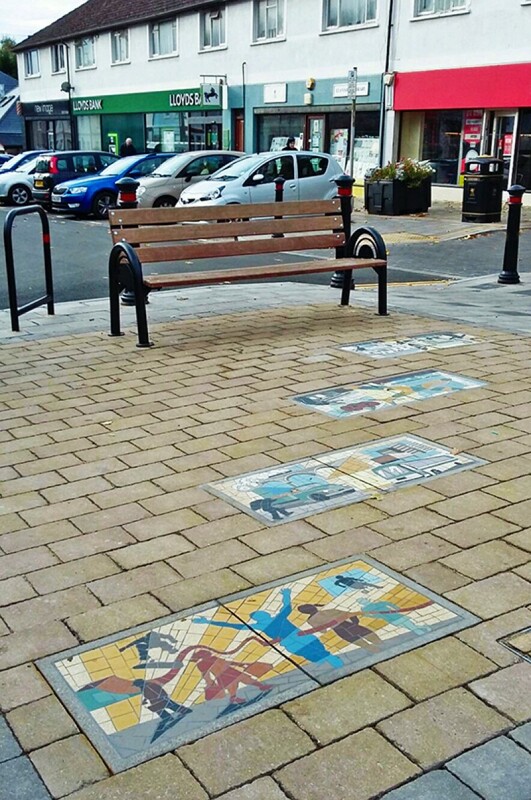 Mosaic art work has recently been installed within the pavement in the central pedestrian area. 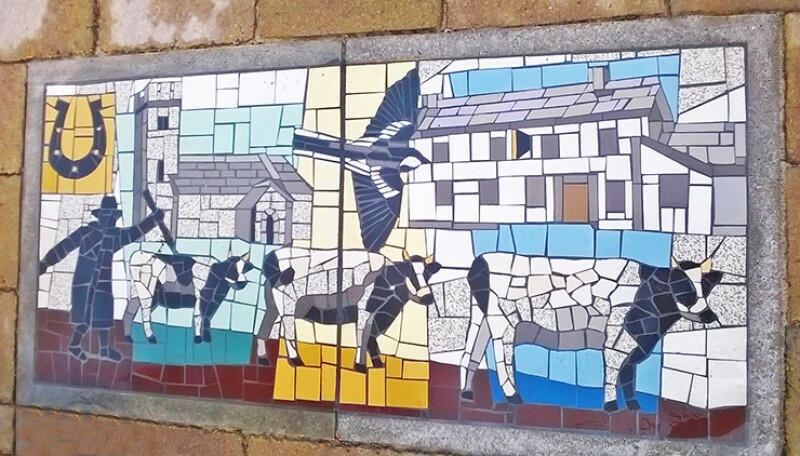 Local school children worked with artist Maureen O’Kane to develop images based on the life and history of Llanishen. 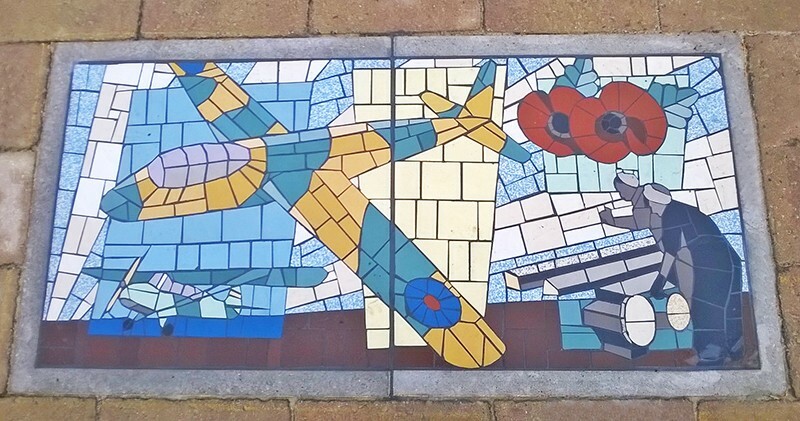 The panels depict the early history of Kimberly Terrace as a drovers route, local landmarks including the church of St Isan and the Church Inn, and the gliders flown in the area during World War II.